Environmentally responsible food packaging is a key need. This is particularly true for single-use throw-away packaging material. We have price-performance competitive biomaterials solutions to meet this need. Compostable bio-composite resins: ​High Oxygen and Water Vapour barrier packaging solutions that are compostable to ASTM 6400 and ASTM 6868 standards, certified by BPI. These are for injection molding, thermoforming and extrusion processes. We also provide bio-composite resins with no barrier for specific end-product packaging formats. Working with our partner, University of Guelph, commercialization of compostable bio-composite resin technology is a first of its kind in the world where a significant amount of reinforcement is provided by fillers. These are typically so-called ‘waste streams’ of Agriculture and the Agriculture processing industry. Excellent barrier is achieved with an innovative choice of compostable fillers. Most importantly, no co-injection molding is needed – a single step process is all that it takes to achieve the desired barrier properties for enhanced shelf life. The reinforcement fillers used are universally available all over the world. Over 15 different biomass and other fillers have been characterized and used by us and successfully compatablised. That is the key to being able to globally scale our offerings of bio-composite resins. 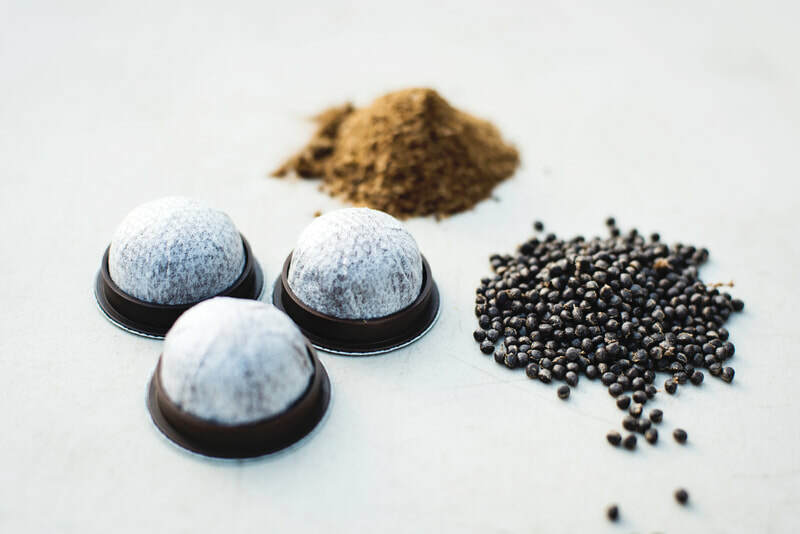 Products moulded from our bio-composite resins include support rings for single serve coffee pods using the ‘mesh’ format, other single use packaging materials, greenhouse accessories, etc. - all that are were earlier thrown into landfill and are now compostable. All McCafe single serve coffee pods in Canada, sold across all McDonalds stores, and other mass merchandisers like Walmart.ca, Longos, etc. use our innovative compostable bio-composite resin. Molded products using our resin are on store shelves all over North America. See Discovery Channel episode "Made By Destruction" here.